During summer break, you may set up a lemonade stand. It earns money and is a fun experience. But thinking outside the box by finding other jobs is great too, especially if you’re not interested in selling lemonade and other drinks. The possibilities are endless! Not only can you help fulfill some of your town’s needs, you can take your business online for consumers across to world to know about. As you get older, you will have more opportunities, but the jobs I am sharing today do not have a strict minimum age requirement. Of course, for some jobs, certain maturity is strongly recommended. If you love to spend time outdoors, you could find some jobs like mowing the lawn or signing up to be a pool lifeguard in the neighborhood. Your job could help you make friends too, since you share at least one common interest (in this example, swimming). Another opportunity is becoming summer babysitters. Many parents work during the summer and would like an inexpensive way to make sure their children are safe. 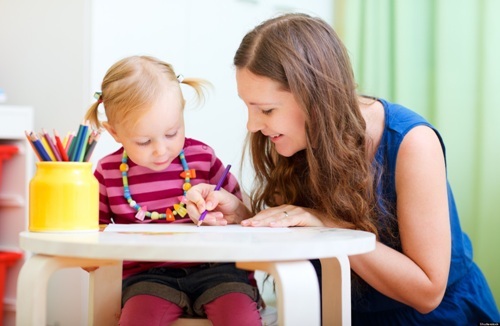 I know many parents would like friendly and reliable babysitters for their young kids – and you can be one! One thing that will definitely help getting hired is a Red Cross babysitting certificate. A Red Cross babysitting certificate tells parents you know important things like basic emergency skills. Just like there is a need for babysitters to take care of kids, there is also a need for pet sitters. I’ve heard of kids “pet-sitting”. It’s like babysitting but instead, you take care of pets. If you know someone with a dog, offer to dog walk. If your family friends own a business, ask to help! I’m sure they’d love a helping hand. These jobs all require someone to hire you. When applying to be hired, I advise you to follow some simple tips: 1) Dress in casual to almost fancy kind of clothes. While I don’t think it’s necessary to wear a tie or dress, dress yourself to match the job. 2) Practice with a friend pretending to be the interviewer and talk with confidence! After the interview, send an email or letter thanking the interviewer. But who would hire a seven year old as a babysitter? If you are young, that’s okay because that gives you the golden opportunity to be your own boss! Last month I wrote an article about creating your own business and becoming an entrepreneur. An entrepreneur, by definition is a person who takes the risk to start or invest in a new business. And there is no law saying a kid can’t be her/his own boss. During summer, school is out and you’ll have more time. Instead of sitting on your bed, bored, why not become the next kid millionaire? Creating a summer business is a little different from creating a regular business. For me, summer is a little over two months. After summer break, everyone goes back to school. Clubs, sports, and homework take up a lot of time. So when you are creating a business, think, Will I be able to do this when school starts? If the answer is no, that’s perfectly fine. Just make sure that you have plans to close the office (if it’s a physical building you work in) or tell your audience online (if you created a website or other type of online presence) that you’ll be stopping business for a while. After all, business is waiting for you around the corner- when the next school year ends. When I was little, I thought setting up a lemonade stand was the only summer job possible. Now I know there are many more jobs for kids. For example, Beau Shell started a business selling ice cream. He sells them at football games. I find this a great twist to the lemonade stand. A few years ago, I thought of the idea of creating a business that hosts parties for people in my class during our entrepreneur unit. While I never got the chance to actually host real parties, I’m sure it’s possible. My best friend started a lip balm business in her class. She and her partner created a lip balm recipe and filled them in tiny containers, selling them for $1.00. Her lip balm looked exactly like the ones you find in stores, and many kids in my grade bought them. Many kids who start their own businesses go into the food industry, selling treats and drinks. If your city has a farmer’s market, do some research and find out what is required for setting up a stand at the market. A farmer’s market is a place where organic and fresh produce is sold. For any kind of job you take on this summer, choose carefully. When deciding, your passions should definitely come first. Sure, job XYZ may have really good pay, but is it really what you love? Happiness is one of the best payments you can ever get.